At 9 am this morning, the warm layer of blankets compelled me to freeze the time (in my mind) for just a few more minutes. I was awake for not more than five seconds before I ensconced myself in the bed once again. Suddenly, I encountered something magical. Those sore eyes that once refused to open a few seconds ago, widened and brightened with a smile. I saw my mother bringing a cup of hot chocolate and a plate full of gooey half-fried eggs for me, and this love alone was enough to keep me wide awake for a while. It’s undeniable that winters serve as one of the best seasons to keep our taste buds occupied with warm and hearty dishes. 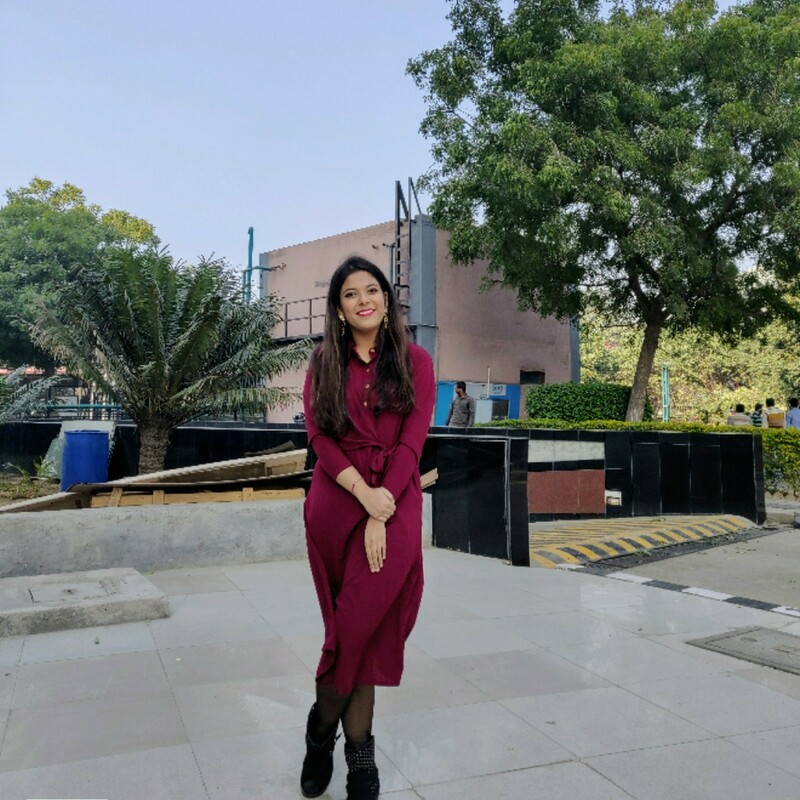 If you, like me, can't resist warm meals in winters, then here's a list of some of the most winter favourites you absolutely need to have this weekend for some warmth. This one’s a hot favourite. A warm cup of milk with sweetened chocolate sauce or rich cocoa powder makes for a perfect winter drink enjoyed at any time of the day, be it a lazy foggy morning or a chilly, breezy evening by the fireplace with a book in hand. Head to Choko La to devour in one of the best Cuppa Hot Chocolate. Need some caffeine? For all early-day starters and late-night owls, a steaming cup of creamy, hand-beaten coffee is just the thing. Try some of the best varieties of coffee at Blue Tokai and any regular coffee, from that moment onward, would just not suffice. Nothing cures the winter blues like a piping hot bowl of delicious soup. Whether it’s the rich tangy flavour of the cream of tomato or the spiciness of hot and sour, when coupled with buttery-garlic croutons, it is an absolute delight, especially when you need to satisfy your early dinner cravings. My personal favourites include the Vegetable Sweet Corn Soup from The Dimsum House or a Chicken Manchao Soup from Culinaire. Introduced by our Tibetan neighbours, momos have now become one of the most sought-after street food. As the winter air grips you tightly, the pleasure you get in dipping those softly moulded wheat-flour dumplings stuffed with chicken or crispy seasoned vegetables, into the fiery chilly chutney is heavenly. While the rest of your body freezes, the momos will set your tongue on fire and urge you to have one more. For every momo-lover, Brown Sugar and Hunger Strike would be the perfect places to try! Biryani is a pot full of flavours. There are so many variations of this delicious dish that it's difficult to pick a favourite. Personally, I'm a fan of Bengali biryani that comes with a boiled potato and an egg. Try the one at Ki Hangla and you'll always need aloo in your biryani too. Paradise in Hyderabad is also known for its flavoursome plate of this aromatic dish, but many find it overrated. There's only one way to find out! Whether it’s the gooey goodness of the sunny-side-up eggs, the nicely seasoned flavours of an omelette scrambled between two crispy toasts or the savoury succulence of soft boiled eggs - it's almost impossible for anyone to resist eggs in the winter. Not only do they keep us healthy and strong, but also offer the much-needed warmth and energy to shoo away the winter chills. Try the Eggs Benedict at Cafe Delhi Heights or DiGhente, and you wish you could have it for breakfast every day. Nothing spells comfort better than the two-minute noodle, mixed with our own choice of toppings and spices. Once cheese is added, it is a match made in heaven. Deny all you want, but it truly unleashes the finger-licking monster who won't stop until every bit on the plate gets cleaned. If you're too lazy to make some, head to Berco's or Speedy Chow to relish their lip-smacking Chilly Garlic Noodles. From its soothing fragrance and ghee melting on top of the caramelised carrot shavings to the milky bits of soft khoya and crunchiness of dry fruits - everything makes this dish irresistible. The home-made dessert always wins, but in case you can't make it at home, try it at Bikanerwala or Om Sweets. You can never go wrong with a dessert, especially if it’s the lusciously gooey chocolate oozing out of a soft sponge. A mere dive of your spoon right in the middle is enough to excite your senses and make you jump with delight. My all-time favourite has been the classic Choco Lava Cake at Domino's. What about yours? So, go ahead and give into your winter cravings. 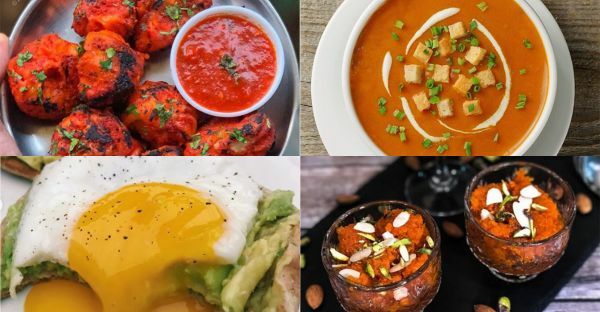 If this article made you want to order some delicious food ASAP, check out our take on all the thoughts that run through the mind of foodies while they're at it. Bon Appétit!